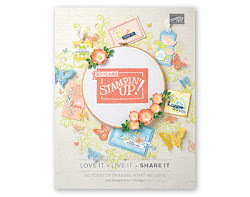 I'm super excited to tell you that there are two amazing offers available from Stampin' Up! throughout July! 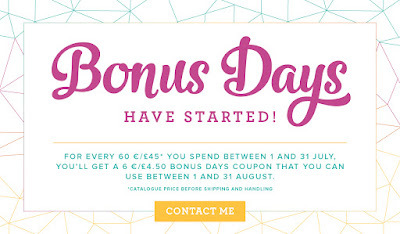 Firstly there is a promotion called Bonus Days - for every £45 you spend between 1st and 31st July (catalogue price, before shipping and handling) you will get a £4.50 coupon that you can use in August. Click HERE to SHOP. 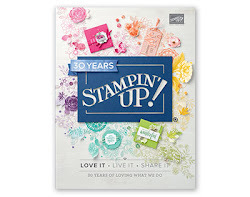 Secondly, Stampin' Up! are celebrating Christmas in July with a special offer for anyone who joins between 1st and 31st July. When you purchase a starter kit you will receive the brand NEW stamp set Carols of Christmas and an Essentials Gift Pack for FREE. 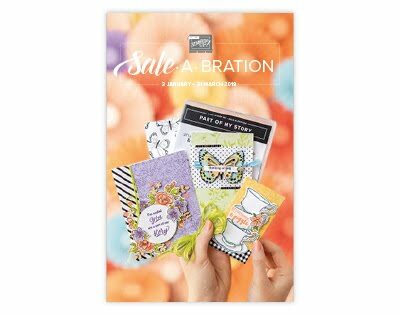 The Essentials Gift Pack contains two stamp blocks, Grid Paper, Paper Snips, a Snail adhesive and a bone folder. Wow! This means that new recruits will get products and business supplies worth a whopping £195 for just £99 with free shipping! Want to take advantage of this amazing offer? Click HERE to JOIN. Oh So Eclectic meets Happy Birthday Gorgeous! Pick a Pattern to the rescue! 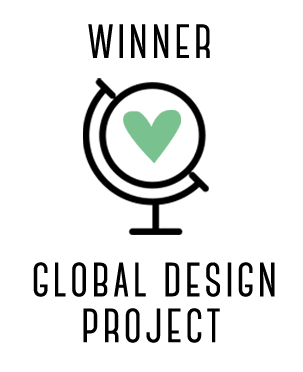 You've Got This Colour Challenge!